Beautiful two-story traditional in Riverside! Welcoming entrance foyer, kitchen open to fireside den also flows to gorgeous vaulted screened porch with stacked stone fireplace and brick floor -- feels like you are in the mountains! Fireside bonus room, hardwood floors on both levels, custom closets and freshly painted interior. Updated master bath w/ walk-in closet, whirlpool tub and separate shower. Professionally landscaped yard w/ extensive hardscape. Quiet, no-cut-through end of the neighborhood, minutes from legendary Riverside Club, award-winning public schools. Directions:1-285 to Riverside Drive. Head north on Riverside. Turn left onto Edgewater Drive -- continue all the way until it dead ends into Mountain Creek Trail. Home will be at the end, directly ahead! SchoolsClick map icons below to view information for schools near 1080 Mountain Creek Trl Atlanta, GA 30328. Home for sale at 1080 Mountain Creek Trl Atlanta, GA 30328. 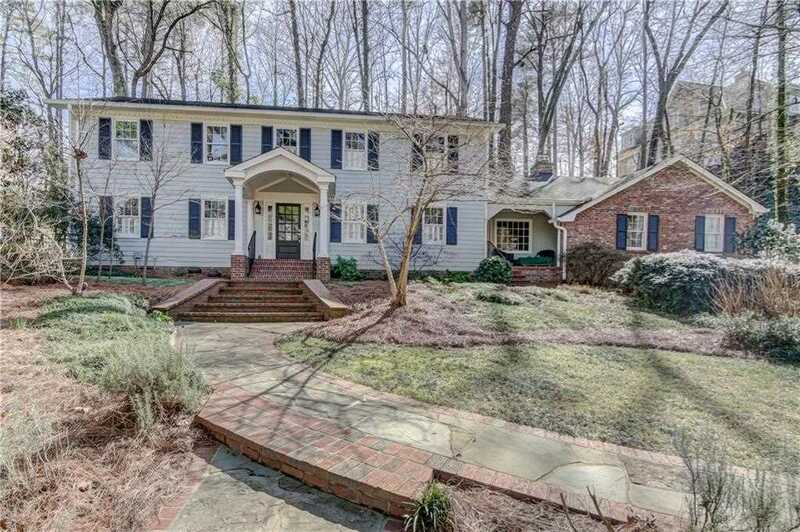 Description: The property at 1080 Mountain Creek Trl Atlanta, GA 30328 with the MLS Number 6502130 is currently listed at $566,500 and has been on the Atlanta market for 73 days. You are viewing the FMLS property details of the home for sale at 1080 Mountain Creek Trl Atlanta, GA 30328, which is located in the Riverside subdivision, includes 5 bedrooms, 4 bathrooms, and has approximately 3895 sq.ft. of living area.